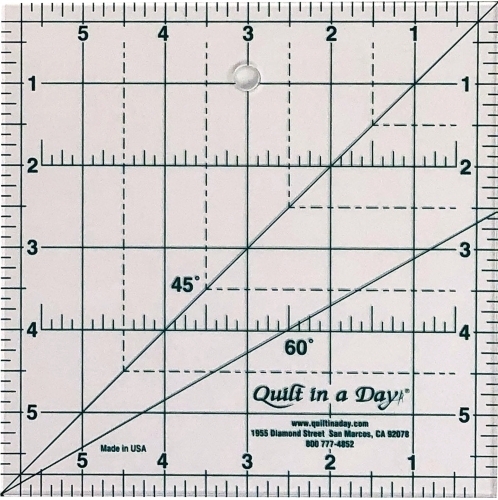 Perfect size ruler for squaring-up pieced squares, as well as cutting pieces smaller than 6 inches. 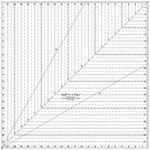 Ruler has 1 inch, 1/2 inch, 1/4 inch, and 1/8 inch concise markings for accurate measuring. 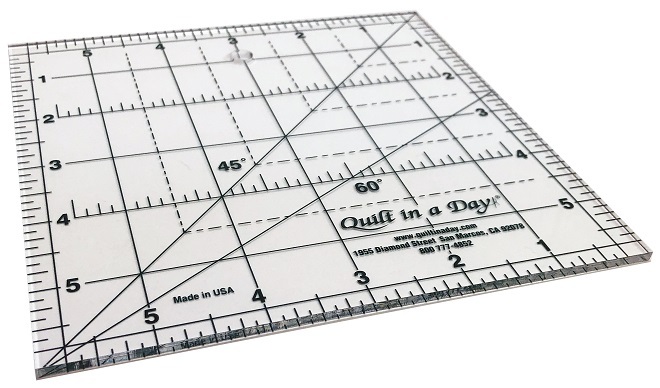 The Ruler is made of heavy gauge acrylic and is laser precise.